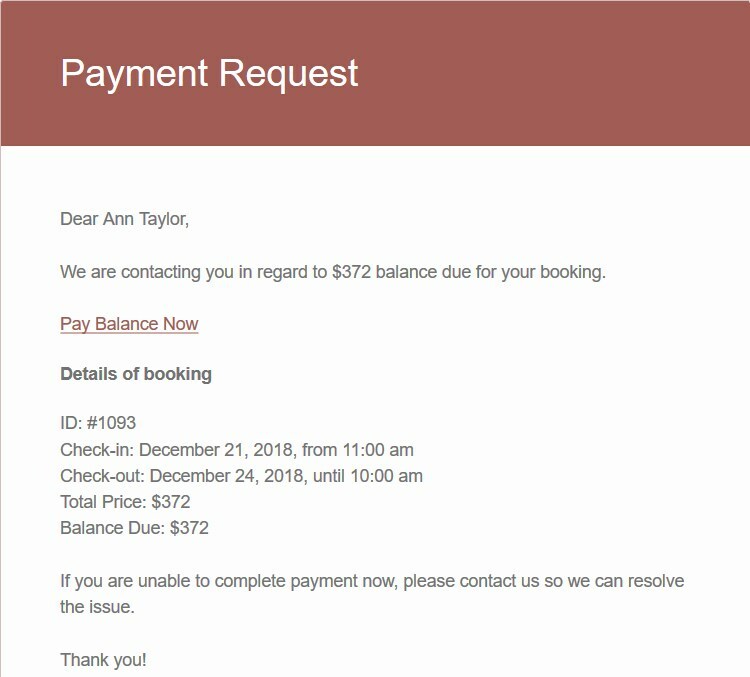 To send follow-up payment request emails automatically, you’ll just need to designate the time frame for sending them (in how many days before arrival it needs to appear in the inbox of your guest). Of course, a reminder will be composed based on the details your client provided. If a client has already paid deposit, they’ll receive a request to pay the remaining sum of money. The full payment request will be sent to those clients whose bookings have a status “Confirmed”, but not paid. The calculation is, of course, done automatically. Custom payment link for each booking to be copied and sent. If you need to opt out of the automatic emails completely for specific reservations or, say, send the same balance due email again, you can do that manually. First, you can disable automatic reminders for an individual booking. Second, you can copy the link and send it either by hitting a button from admin dashboard or optionally compose a personal email to send the link manually. Go to any confirmed booking to check out these settings. Furthermore, since you can copy a link, you can send it in an SMS or via any messenger. 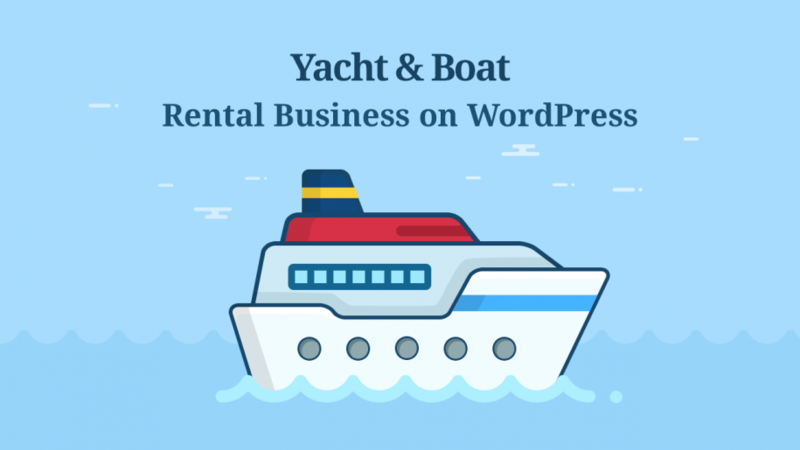 It will definitely give you more flexibility for dealing with each particular client. As we’ve already mentioned, the add-on plays nicely with either reservation confirmation mode. All functions described above will work in just the same way. So, for example, even if you opt for the “By admin” manual booking confirmation mode, you’ll still need to go to Settings > Payment Gateways to turn on the preferable gateways (they will be displayed only by following the “Payment Request” generated links). The only thing which is important is the booking status – it must be set to “Confirmed” to jump-start the automation. Similar to other admin and user email templates you create with the Hotel Booking plugin, you are provided with macros, which are real life-savers when it comes to making automated emails personal. You are free to make use of any macros to make emails consistent with the reality of your lodging business. Any coupons and promo information can be included. 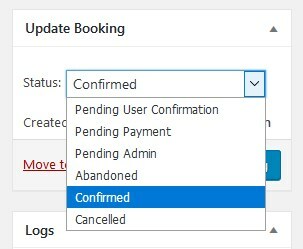 Moreover, you may optionally include a booking cancellation link into the Payment request email, which will allow guests who decided to cancel the booking to do it with a button click, without causing you any bother. 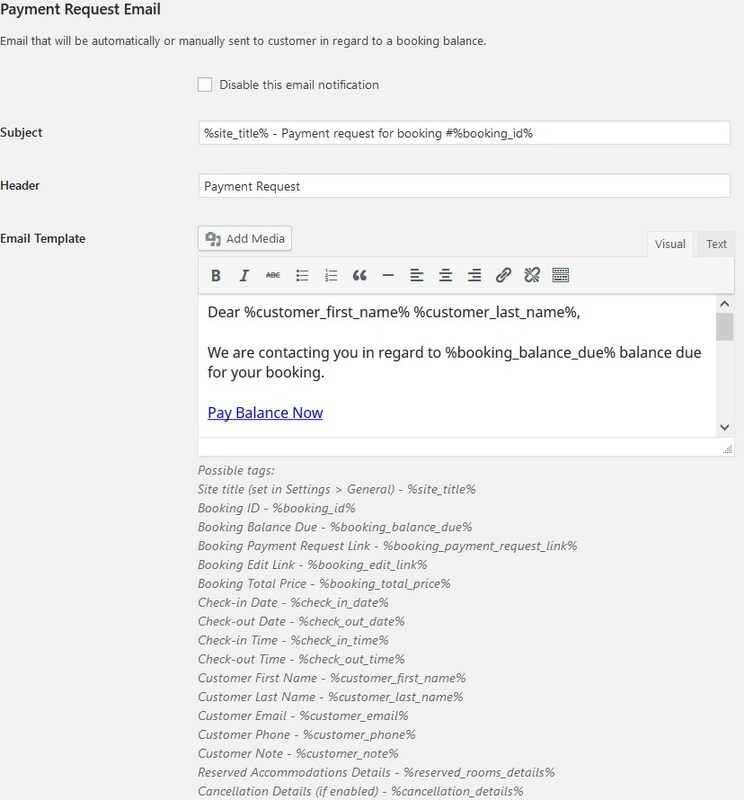 As a website administrator, you can also create custom “Balance paid” admin notification email templates that can be sent to multiple recipients of your property staff. Payments made through your websites and filed automatically. You might be wondering what gateways are available for handling booking payments. Easily – any method you have turned on in the Hotel Booking plugin. 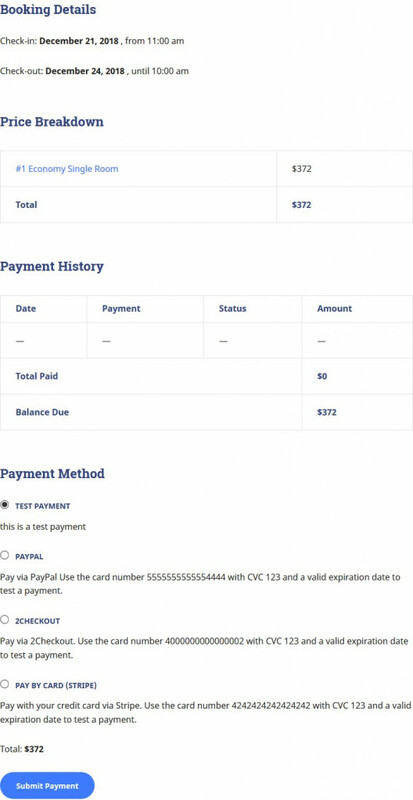 Those can be either default PayPal, 2Checkout, Braintree, Stripe, Beanstream/Bambora or any other hooked up via the WooCommerce Payments add-on. The procedure is very easy: you client receives an email, then follows the payment link and ends up on your website to make a payment via any method you switched on. If your guest has already made a deposit payment, they will also see this information displayed in the Payment history table on the checkout page. Once the balance is paid, you and they are notified via email. Simultaneously, the payment is recorded in the database. Pure magic. Complete payment history and logs. Check out logs to see how you are doing with each booking. You can view the changes of a booking status, the history of sending payment reminders, the amount paid and the balance to pay, etc. Another bonus is that this add-on is a child’s play mechanism to set up and use. Let’s now take you through the main settings to prove it. Download the preferable Hotel Booking Payment Request plugin package (for one website or unlimited ones). Navigate to Accommodation > Settings > Extensions > locate the Payment Request tab. Configure all settings (described above) and don’t forget to input your license key. Save changes. To make sure your guests have a choice of payment gateways, enable the needed ones and hook them up with your personal accounts via Settings > Payment Gateways tab. 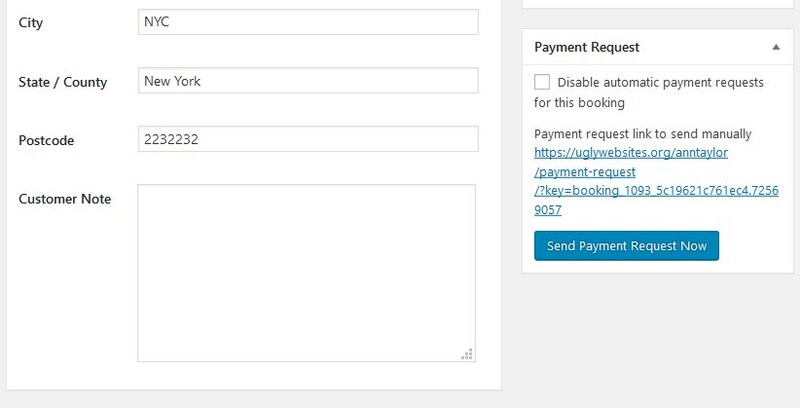 To disable automated bookings, send the request immediately or copy the request link, go to Bookings to start working with a particular booking. You are done! As you see, you can set it up with just a few button clicks. And how much time it’s going to save you, have you reckoned? 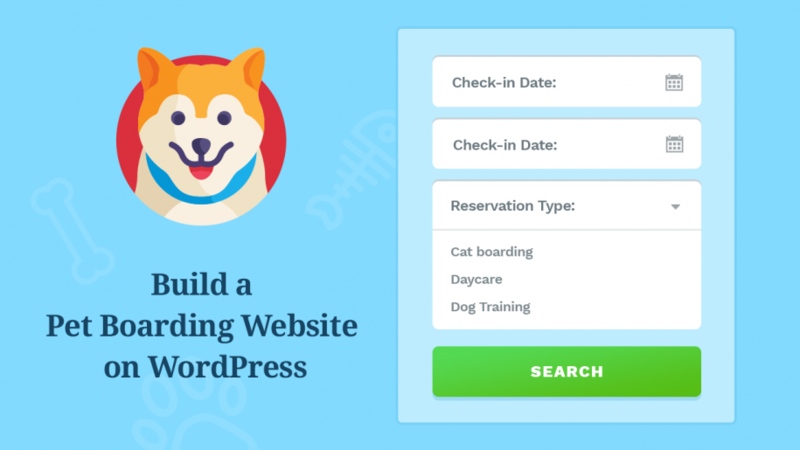 $59 price covers one year of updates and support for one website. 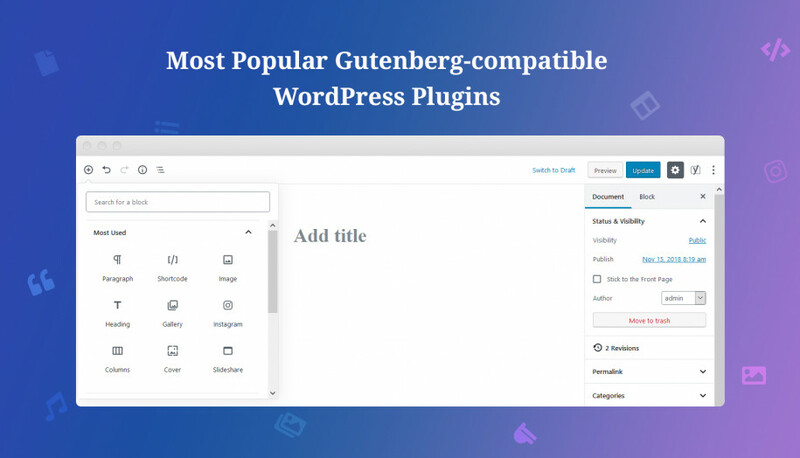 If you want to install the plugin on the unlimited number of websites, $99 will be the price for the same suite of services. Please keep in mind that this add-on is free for all MotoPress Club members. 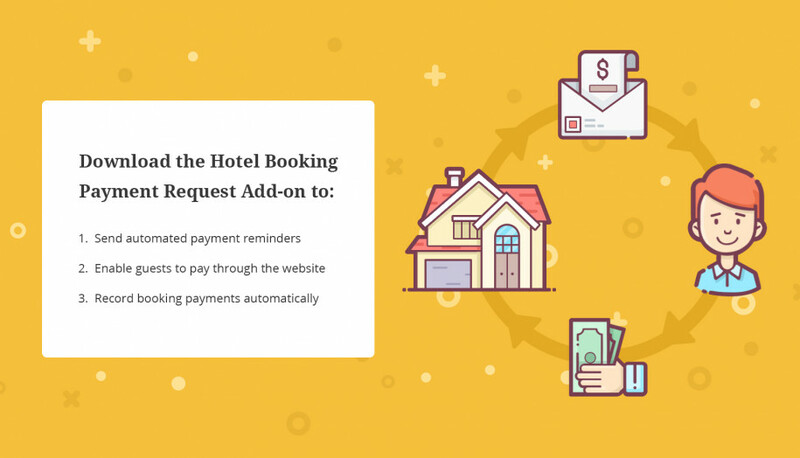 If you are looking to bring more payment automation to the table, want to deal with the billing easier and, of course, manage better occupancy rates thanks to in-time payments, give the Hotel Booking Payment Request add-on a go. What’s even more important, this add-on will allow your guests to secure their bookings easily and wait for the vacation with a peace in mind.